The Obama administration is blaming Israel for the recent rise in global crude oil prices, says its "posturing" on Iran brought the rise. The Obama administration is blaming Israel for the recent rise in global crude oil prices, according to a Sunday report in The World Tribune. The rise in fuel prices is deemed as harming the U.S. economy and has also hurt Obama in the polls as he seeks re-election in November. The report cited a leading U.S. analyst, Robert Satloff, who returned from talks with Israeli officials. Satloff, executive director of the Washington Institute for Near East Policy, said, according to The World Tribune, that the Israeli leadership saw Washington as attributing the higher gas prices to “Israel’s posturing” on Iran. “They think the Iranians should be held responsible for the higher gasoline prices,” Satloff was quoted as having said. 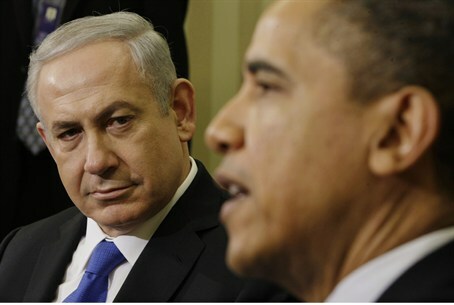 He added that the officials told him the Obama administration was staging a campaign to undermine Israel. “I cannot underscore how deep and visceral the [Israeli] comments of the leaking that came out of Washington were,” Satloff said, noting Israel is alarmed by what officials determined were leaks by the administration of U.S. President Barack Obama of purported Israeli preparations to attack Iran. The Israeli concerns come in the wake of a report in Foreign Policy magazine last week, according to which Israel has purchased an airfield in Azerbaijan on Iran's northern border, prompting the United States to watch very closely. Journalist Mark Perry wrote that the Obama administration is monitoring Israel's relations with Azerbaijan, particularly its military ties.